Dr. Vlachopoulos (BASc, MASc, rmc, PhD Queen's University) is an Associate Professor of Civil Engineering at the Royal Military College of Canada. He is also cross-appointed to the Geological Sciences and Geological Engineering Department at Queen's as well as to the School of Environmental Studies at Queen's University. He is the Founder and Director of the RMC Green Team that addresses Environmental Engineering issues within Canadian Forces Bases and Wings. For his innovative solutions to environmental issues, he was awarded the DND Deputy Minister’s / Chief of Defense Staff Innovation Award. Dr. Nicholas Vlachopoulos has had a distinguished 20+ year career in the Canadian Armed Forces as a Military Engineer Officer. Nicholas Vlachopoulos has worked within the Canadian Forces in many capacities. He has been employed as an Infrastructure Planning Engineer Officer within the Base Construction Engineering Section at CFB Toronto, a Combat Engineer and Engineer Troop Commander at 2 Combat Engineering Regiment in Petawawa, and an Engineering Operational Planner and DART Engineer at the Canadian Forces Joint Head Quarters based in Kingston. He has also been deployed domestically to the Floods in Winnipeg and deployed to multiple tours of duty internationally. Vlachopoulos, N. and Vazaios, I., 2018. The numerical simulation of hard rocks for tunnelling purposes at great depths: A comparison between the hybrid FDEM method and continuous techniques. Advances in Civil Engineering (Available online March 2018), pgs. 18. DOI: 10.1155/2018/3868716. Vlachopoulos, N., Vazaios, I. and Madjdabadi, B., 2018. Investigation into the influence of excavation of twin bored tunnels within weak rock masses adjacent to slopes. Canadian Geotechnical Journal (Available online January 2018). DOI:10.1139/cgj-2017-0392. Vazaios, I., Vlachopoulos, N. and Diederichs, M.S., 2018. The mechanical analysis and interpretation of the EDZ formation around deep tunnels within massive rockmasses using a hybrid finite-discrete element approach: The case of the AECL URL Test Tunnel. The Canadian Geotechnical Journal (Available online April 19th 2018). DOI: 10.1139/cgj-2017-0578. Vazaios, I., Farahmand, K., Vlachopoulos, N. and Diederichs, M.S., 2018. The effects of confinement on the rockmass modulus: A synthetic rockmass modelling (SRM) study. Journal of Rock Mechanics and Geotechnical Engineering (Available online March 2018). DOI: 10.1016/j.jrmge.2018.01.002. Oke, J., N .Vlachopoulos, and M.S Diederichs, 2018. Improvement to the convergence-confinement theory: Inclusion of support installation location and stiffness. Rock Mechanics and Rock Engineering. DOI: 10.1007/s00603-018-1418-0. Accepted Jan 2018 - RMRE-D-17-00519. Farahmand, K., Vazaios, I., Diederichs, M.S. and Vlachopoulos, N., 2018. Investigating the scale-dependency of the geometrical and mechanical properties of a moderately jointed rock using a synthetic rock mass (SRM) approach. Computers and Geotechnics, 95: 162-179. DOI: 10.1016/j.compgeo.2017.10.002. Skordaki, E.M. and Vlachopoulos, N., 2017. Methodology Associated with Risk Assessment of Outdoor Operating Small Arms Ranges: A Canadian Case Study. Journal of Environmental Science and Renewable Resources. December 2017, 1(1): 103. Bolkas D., Vazaios, I., Peidou A. and Vlachopoulos N. 2017. Detection of rock discontinuity traces using terrestrial LiDAR data and spectral transforms. Geotechnical and Geological Engineering (Available online Dec. 20, 2017). DOI: 10.1007/s10706-017-0430-6. Vlachopoulos, N., Cruz, D., and Forbes, B. 2017. Utilizing a Novel Fiber Optic Technology to Capture the Axial Response of Fully Grouted Rock Bolts. Journal of Rock Mechanics and Geotechnical Engineering. Submitted 26 July 2017, Accepted 7 Nov 2017, JRMGE-2017-225, V10 N3 2018. Forbes, B., Vlachopoulos, N. and Hyett, A.J. 2017. The application of distributed optical strain sensing to measure the strain distribution of ground support members; FACETS Canadian Science Publishing. Accepted Nov 2017. 10.1139/facets-2017-0093. Vazaios, I., Vlachopoulos, N. & Diederichs, M.S., 2017. Integration of Lidar-Based Structural Input and Discrete Fracture Network Generation for Underground Applications. Geotech Geol Eng doi:10.1007/s10706-017-0240-x, May 2017. Forbes, B., Vlachopoulos, N., Hyett, A.J. and Diederichs, M.S., 2017. A new optical sensing technique for monitoring shear of rock bolts. Tunnelling and Underground Space Technology. 66, 34–46, http://dx.doi.org/10.1016/j.tust.2017.03.007 March, 2017. Oke, J., N .Vlachopoulos, and M.S Diederichs, 2016. Semi-Analytical Model for Umbrella Arch Systems in Squeezing Conditions. Tunnelling and Underground Space Technology TUST-D-15-00289, 2016. doi:10.1016/j.tust.2016.03.006. June 2016. Development of Statement of Operational Requirement for Incinerator Unit for Options for the Polar Continental Shelf Program (PCSP) and Canadian Forces Arctic Training Centre (CFATC) Operations in Resolute Bay, Nunavut. Natural Resources Canada, October 2013. Environmental Baseline Study and Waste Audit. Identification, Management and Disposal Options for the Polar Continental Shelf Program (PCSP) and Canadian Forces Arctic Training Centre (CFATC) Operations in Resolute Bay, Nunavut. Natural Resources Canada and Director Land Infrastructure, December 2012. Waste Management Study and Options Analysis. Identification, Management and Disposal Options for the Polar Continental Shelf Program (PCSP) and Canadian Forces Arctic Training Centre (CFATC) Operations in Resolute Bay, Nunavut. 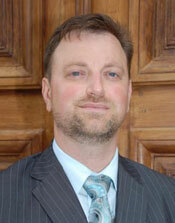 Natural Resources Canada and Director Land Infrastructure, December 2012. Baseline Study Report for 15 Wing Moosejaw, Saskatchewan, 1 Canadian Air Division, Manitoba, March, 2011. 4 Wing Cold Lake Phosphorus Reduction Options for Sewage treatment, 1 Canadian Air Division, Manitoba, March, 2011. Force Main Review for 15 Wing Moosejaw, Saskatchewan, 1 Canadian Air Division, Manitoba, March, 2011. Force Main Standard Operating Procedures for 1 Canadian Air Division, 1 Canadian Air Division, Manitoba, March, 2011. Species at Risk Generic Work Plan (Federal), 1 Canadian Air Division, Manitoba, Environment Canada and Parks Canada Agency, March, 2011. Species at Risk Management Plan for 4 Wing Cold Lake, Alberta, 1 Canadian Air Division, Manitoba, March, 2011. Species at Risk Management Plan for 17 Wing Dundurn, 1 Canadian Air Division, Manitoba, March, 2011. Species at Risk Review 17 Wing Dundurn, 1 Canadian Air Division, Manitoba, March, 2011. Tank Management Plan for CFB Bagotville, Director Land Environment, Hull Quebec, March, 2010. Post-Crash Environmental Guidelines Document for 1 Canadian Air Division, Manitoba, March 2010. State-of-the-Art Review on Green Infrastructure Technologies for A4 Construction Engineering, 1 Canadian Air Division, Manitoba, March, 2010. Investigation into Green Building Option for CFB Alert, N.W.T., A4 Construction Engineering, 1 Canadian Air Division, Manitoba, March, 2010. Environmental Baseline Study Report for 22 Wing North Bay, ONT., 1 Canadian Air Division, Manitoba, March, 2010. Environmental Baseline Study Report for 5 Wing Goose Bay, N.F., 1 Canadian Air Division, Manitoba, March, 2010. Glycol Management Report and Manual for 14 Wing Greenwood, N.S., 1 Canadian Air Division, Manitoba, March, 2010. Pathogen Detection System’s (PDS) Desktop Unit Trials Report, at CFB Kingston for National Defence Headquarters, Ottawa, Ontario, March, 2010. Groundwater Well Management and Monitoring Study at Land Forces Bases, Director Land Environment, Hull Quebec, March 2010. Stormwater Management and Effluent Monitoring Manual for 4 Wing Cold Lake A4 Construction Engineering, 1 Canadian Air Division, Manitoba, March, 2010. Tank Management Plan for Director Land Environment, Hull Quebec, March, 2010. Environmental Baseline Studies at CFB Cold Lake, CFB Gander, CFB Comox, CFB Bagotville, and CFB Winnipeg. Inspected 38 sites, covering 8 provinces and 1700 buildings, for compliance with DND, Federal, Provincial and Municipal environmental regulations. Results were used to identify resource requirements and as a pre-inspection for ISO 14001 audits, 2010. Monitoring Well Investigation at 17 Wing Cold Lake, Inspected 190 wells to determine their condition (internal and external). The information was used to help plan maintenance, replacement and closure activities, 2010. Environmental Risk Assessment of Small Arms Ranges at Land Force Bases. Categorized the risk associated with the operations of all army small-arms firing ranges across Canada. Information was used to prioritize site assessment activities and resource allocation, 2009. Environmental Impact and Operational Investigation into Glycol Practices at Canadian Forces Wings. Identified mitigation methods to reduce glycol usage through improved operational, maintenance, management and design practices, 2009. Environmental Impact and Operational Investigation into Washwater Practices at Canadian Forces Wings. Identified mitigation methods to reduce airplane washwater impact through improved operational, maintenance, management and design practices, 2009. Remediation of Discharged Fire-Fighting Foam at Aircraft Hangars. Characterized the waste generated during a fire event or accidental discharge of fire fighting foam. Performed an options analysis that highlighted the key treatment technologies that could be combined to develop a treatment prototype, 2009. Sewage Treatment Plant Licensing in CFS Alert, Nunavut. Coordinated with the Environmental Officer and the Nunavut Water Board to ensure the approval of the construction of a sewage treatment plant in Alert, 2009. Baseline Study Report for 4 Wing Cold Lake, Alberta, 1 Canadian Air Division, Manitoba. March 2009. Baseline Study Report for 9 Wing Gander, 1 Canadian Air Division, Manitoba. March 2009. Aircraft Deicing Review: 17 Wing Winnipeg, Director General Environment, Ottawa March 2009. Aircraft Deicing Review: 14 Wing Greenwood, Director General Environment, Ottawa March 2009. Aircraft Deicing Review: 4 Wing Cold Lake, Director General Environment, Ottawa March 2009. Aircraft Deicing Review: 3 Wing Bagotville, Director General Environment, Ottawa March 2009. Monitoring Well Inventory and Inspection Study for 4 Wing Cold Lake, 1 Canadian Air Division, Manitoba, December, 2008. Environmental Risk Assessment of Contamination at Small Arms Ranges at Land Force Bases, Director Land Environment, Hull, Quebec, December, 2008. Literature Review for Practices and Remediation Technologies Associated with Glycol (Deicer) at CF Wings, Director General Environment, Ottawa, November 2008. Literature Review for Practices and Remediation Technologies Associated with Washwater at CF Wings, Director General Environment, Ottawa, November 2008. Evaluation of Water and Wastewater Systems at Canadian Forces Station Alert, Alert, NWT, November 2008. Treatment and Disposal Options of Effluent Generated by Fire Protection Systems, A4 Infrastructure, 1 Canadian Air Division, October 2008. Ground Water Monitoring Well Report for 22 Wing North Bay, 1 Canadian Air Division, September, 2008. Literature Review for Practices and Remediation Technologies Associated with Remediation of Aqueous Fire Fighting Foam (AFFF), July 2008. Baseline Study Report for 17 Wing Winnipeg, 1 Canadian Air Division, Manitoba, March, 2008. Unexploded Ordinance (UXO) Technology Database for UXO Legacy Group, Ottawa, Ontario, Canada, October 2007. Delineation of Hydrocarbon Contamination at Former Buildings 46 & 47, 8 Wing Winnipeg, Winnipeg, Manitoba, September 2007. Soil Investigation at North Site Landfill at 17 Wing Winnipeg, Winnipeg, Manitoba, August 2007. Trial and Evaluation of Water Treatment Technologies for use by the Disaster Assistance Response Team (DART), Canadian Forces Joint Head Quarters, January 2007. RMC Green Team, Energy Captured from Compost in order to Heat Adjacent Infrastructure at 8 Wing Trenton, Trenton, Ontario, April 2007. RMC Green Team, Alternative Air Compressor Cooling Study at 8 Wing Trenton, Trenton Ontario, July 2006. 2018- Mr. Huachuan Wang. Improvement of Numerical Methods associated with Tunnelling Support. 2017- Ms. Maame Addai. Area-Wide Optimization of Water and Wastewater Treatment Plants with a focus on Sludge Lagoons. 2015- Mr. Brad Forbes. Monitoring the Performance of Support Elements using Fiber Optic Technology. 2018- Tyler O’Connor. The performance of ground support utilizing fiber optics. 2018- Mr. Yiannis Farmakis. Investigation into Rock Stability Characterization and Modelling associated with Geo-Hazards (Landslides). 2017- Jean-Luc Armstrong. Assessment and Design of Sludge Lagoon at a Canadian Armed Forces location in Western Canada. 2017- Henry Helmer-Schmidt, Monitoring and Performance of heritage Warren Truss Structures within Canadian Forces Air Hangar. 2016- Colonel Marc Rancourt, Investigation into Optimization of Real Property Management within the Department of National Defence. Masters of Defence Studies. 2013-2018 Mr. Ioannis Vazaios. Probabilistic Approach to Geotechnical Risk for Tunnelling Projects. Graduating 2018. 2010-2016 Mr. Jeffery Oke, Optimization of Temporary Support Structures Relating to Weak Rock Masses. 2010-2013 Mr. Connor Langford, Probabilistic Approach to Geotechnical Risk for Tunnelling Projects. Co-Supervisor. 2014-2017 Captain Stephen Holt. Physical Testing of Ground Support Elements in order to determine interaction parameters. 2014-2016 Maj. Peter Glaicar. Optimizing Infrastructure Contracts within the CF. Masters of Defence Studies. NC. 2013-2015 Mr. Brad Forbes. Monitoring the Performance of Support Elements using Fiber Optic Technology. 2013-2015 LCol Rob Knapik. Investigation into the technical training of Military Engineers within the Canadian Forces (Masters of Defence Studies). NC. 2012-2015 Ms. Jad Robitaille. Performance of Systems within Green Buildings; Investigation into passive technologies and building envelope. 2011-2012 Ms. Chrysothemis Paraskevopoulou, Time-dependent behaviour associated with underground works in weak rocks. Co-supervisor - upgraded to PhD. 2017 Dr. Behrad Mollahasani Madjdabadi, Use of Fiber Optics with Support Elements and Twin Tunnel Interaction. 2014-2015 Dr. Bryan Tatone, Simulating rock-reinforcement interaction using advanced numerical methods.